MoneyMutual is a lending marketplace, connecting customers with lenders. If you’re looking for a loan, learn more about what they offer in this review. What would you do if a large emergency expense came up suddenly and you weren't getting paid until the following Friday? Would you have enough savings to cover the bill and your normal expenses until payday, or would you be in big trouble because you're living paycheck-to-paycheck and/or have no emergency funds? If you fall into the latter category, you're not alone. According to a study by Fifth Third Bank, 30% of respondents confessed they do not have money stashed away in case an emergency strikes. 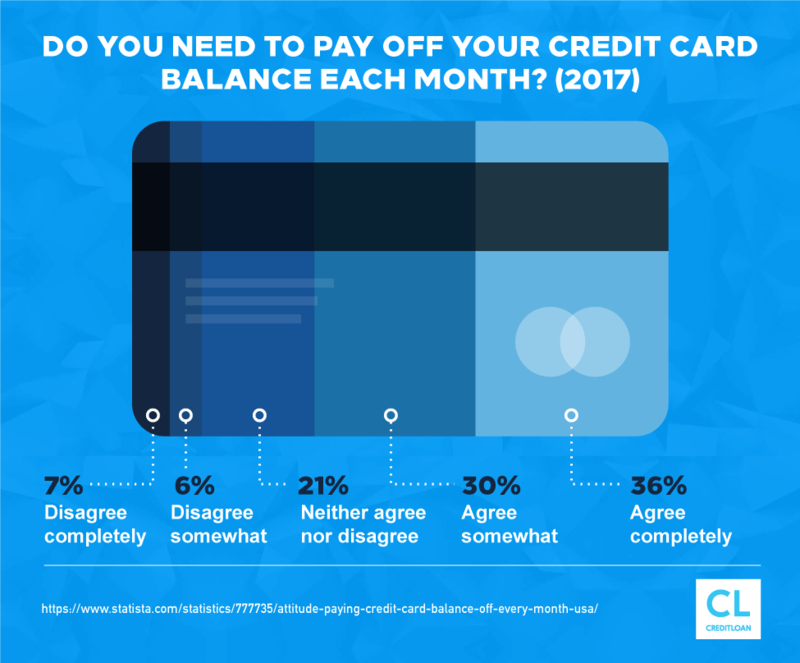 If you've been through this situation before, you know the routine of frantically checking your credit card balances to figure out how to pay for groceries and put gas in your car without going over your limits. If you're in this position, you may be looking for a quick loan from a company like Money Mutual that claims you can get funds in your bank account as soon as the next business day if a lender chooses to work with you. But should you use this service? How Does Money Mutual Actually Work? Money Mutual isn't like other payday loan stores—in fact, they're not a lending company at all. Money Mutual is a free portal where users can connect with short term lending companies offering loans in their area. Short term lending companies loan you a small amount of money and expect you to pay it back in a small amount of time. They charge crazy high interest rates to deter you from taking a long time to pay them back. Once you submit your application on the Money Mutual website, they'll scour their network of over 60 short term lending companies to find your ideal match. If a lender chooses to work with you on a loan, Money Mutual will redirect you to that specific lender's website. From there you'll be able to view the terms and conditions of your loan with that provider, should you choose to select their service. The lending company will typically contact you via email or phone to ask for more information about you. You'll need to read over this information very carefully to ensure you know exactly what you're getting into with that specific lending company. Money Mutual is no longer involved in the transaction after they connect you to a lender. Don't feel pressured to agree to the terms of the loan offer at this point. You can decline the offer and find another you're more comfortable with. Once you accept the loan you like and agree to all its terms and conditions, simply sign on the electronic dotted line and you're all set. Your lender will then deposit your entire loan amount directly in your checking account. Depending on how late your application was started, you may receive funds as soon as the next day. Lending companies like to deposit the money in your account directly so they can keep an eye on the transaction and make sure you receive your agreed-upon amount. And since many lenders also take your loan payment directly out of this same checking account, it's an easy way to test that it's legit too. How Much Money Can I Borrow from Money Mutual? There are over 60 different lenders linked to the Money Mutual hub—and none of them operate the same way. To make things even more confusing, several states cap maximum payday loan amounts so you may not be legally allowed to receive more than $300, $500, or $1,000 even though Money Mutual advertises loans of up to $2,500. Your loan amount depends on several different factors other than your state and lender's rules. Personal factors specific to your financial history, such as your employment history and monthly income, will play a part in how much loan amount you'll qualify for. Normally offers range between $100 and $2,500, with an average of $350 being the norm in the payday loan arena. What are the Services Offered by Money Mutual? Short term loans like cash advances and payday loans may seem dicey because you only find them at check cashing stores and pawn shops instead of at more traditional financial institutions like banks and credit unions. But Money Mutual's online process now makes finding a short term loan much safer, faster, and more private. There's no waiting around in a line, no complicated paperwork to fill out, and best of all, you can do it right from your favorite chair in your house instead of taking time off work. Taking out a payday loan may save you more money than letting a bill go to collections, getting charged multiple late fees, or paying the penalties for bouncing a check. While you'll be given the full amount of your loan upfront, it will usually need to be paid off when you receive your next paycheck (hence the name payday). In exchange for your loan amount, you'll authorize your lending company to electronically withdraw a payment from your bank account on payday when you have funds deposited. Payday loans may be the better option when faced with reconnect fees and hits on your credit score, but this convenience doesn't come cheap. Sky-high interest rates and steep finance charges mean it's one of the most expensive ways to borrow cash. And it can lead to a never-ending cycle of debt if you don't immediately pay them off and borrow responsibly. The term payday loan and cash advance are sometimes interchangeable so let's discuss that next. Debit and credit cards often allow you to pull out a cash advance that's separate from your bank account or credit limit. So if your credit card max is $2,000, you may be able to withdraw up to $200 as cash in addition to your line of credit. You'll pay a higher interest rate on this cash advance amount (24% APR on average) and a fee for using the service. Money Mutual's wide lending network includes providers that offer similar cash advances. Depending on the loan originator you choose, you may be expected to pay back your cash advance with your next paycheck or qualify for an installment plan which will allow you to pay off the cash advanced to you over a longer period of time. Just keep in mind that the longer your loan term (or the amount you have to pay off your loan), the more you pay in total interest charges. Money Mutual even has loan options for those with low or bad credit scores. When your credit is less than perfect, it can be almost impossible to qualify for a loan from a traditional financial institution. But Money Mutual's lending network is there for people with bad credit when they need to borrow money in an emergency. Money Mutual does not check your credit score before matching you with lenders. Additionally, several lenders in the Money Mutual network will take proof of your monthly income instead of checking your credit score to approve you for a loan. his is uplifting news for anyone struggling with a low or bad credit score, especially if you've been denied a loan in the past due to this one number. So who are these lending companies anyway? As a proud member of the Online Lenders Alliance, Money Mutual works with companies that follow local lending laws, protect customers from fraud, and comply with their strict code of conduct. Though Money Mutual is not a lender or involved in the actual lending process, they will connect you with over 60 lenders that each offer different types of loans, term lengths, fees, and loan amounts. After you submit your application to Money Mutual, they'll present you with a list of loan offers from lenders matching your needs. You're under no obligation to accept any of these loans so take your time scrutinizing the terms and conditions of every loan you're considering before accepting. What are Money Mutual's Interest rates? Are there Any Origination Fees? Money Mutual's free service will connect you to a network of lenders, but since rules, regulations, and loan fees all vary by company and state, Money Mutual cannot provide all this information on their website. That's why it's your responsibility to check each lending company's specific interest rate and loan fees to make sure there are no hidden charges you're not aware of. Money Mutual says the average interest rate their lenders charge varies between 261% and 1,304%, though certain states have this limit legally capped at lower rates. Payday loan companies charge an average of $15 for every $100 you borrow for a two week loan (which works out to an average of 391% APR). Along with varying interest rates, terms also differ between lending companies. What are the Terms of the Services Offered by Money Mutual? The short term lenders in the Money Mutual portal specialize in loans meant to least between two and four weeks. This customarily corresponds with your paydays, but can vary depending on your loan's specific terms. If you're offered an installment loan, you usually won't have more than one to six months to pay it off. How are Money Mutual's Loan Ratings? Customer reviews are mixed for Money Mutual. Since the reviews and ratings can be so polarizing, you'll have to decide what's most important to you when using Money Mutual's services. If you want to move forward, let's talk about how to get started using Money Mutual. How Do You Use the Services Offered by Money Mutual? After you've done your homework about how to use short term loans responsibly, you're ready to see what types of loans you qualify for. The first step of the application process is making sure you meet Money Mutual's borrower requirements. While getting an approval for a loan from a traditional financial institution requires tons of paperwork and a decent credit score, the requirements for a loan through Money Mutual's marketplace are a lot more lenient. If you've previously been denied a loan from a bank or credit union, Money Mutual may be your easiest option when you need quick cash flow. Answer yes to all of these questions and you're ready to take on the application. Head over to the Money Mutual website to fill out a simple application for your potential loan offers. Enter Your Zip Code so Money Mutual can find a lender that complies with your location's short term lending rules and regulations. Decide How Much You Want to Borrow. You'll see a dropdown on the next screen asking you to select how much you'd like to borrow from a Money Mutual lender. Depending on where you live, this amount can range from $100–$2,500, though certain areas cap the maximum amount you're legally able to borrow. Fill in Your Personal Information, such as your name, email address, and last four digits of your social security number. Hit the Orange ‘Get Started' Button and your information will be sorted and delivered to lending agents that match your criteria. You'll receive offers immediately from lenders wanting to work with you. When you choose one, Money Mutual will redirect you to the lending company's website where you'll need to review all the terms and conditions of your loan before agreeing to sign off on it. The whole process takes a matter of minutes and can be done anywhere you have access to the internet. The Money Mutual website is straightforward and clearly designed to streamline the loan application process and save you time. You'll find links at the top of their site's navigation bar with resources to help you understand how payday loans work and Money Mutual's role in your loan. Then on the right, you can't miss the giant box prompting you to find a lender in your area. Navigating the application process only takes a few clicks and Money Mutual takes the time to explain every step as you move your way through. How is Money Mutual's Customer Service? Customer Service at Money Mutual consistently earns high ratings from users. If you ever get stuck during any part of the application process, you can always contact Money Mutual Customer Service by Email: customerservice@moneymutual.com, and they'll be quick to respond. Is Money Mutual Safe and Legitimate to Use? You may have seen former talk show host Montel Williams advertising Money Mutual's services on TV. As their exclusive spokesperson, Williams says, "Money Mutual's online marketplace is a resource you can trust for finding a short term lender quickly and easily." Trust is the number one goal of every lending site because they have your most valuable personal information. Money Mutual helps you weed out the phony loan websites by only leading you to trusted lending companies. Money Mutual is a member of the OLA, which requires them to follow the industry's best practices when it comes to protecting your confidentiality and security. They utilize Norton Secured powered by Symantec 256-bit encryption to keep your personal data safe. What are the Strengths of Money Mutual? Unlike applying for a personal loan from a traditional financial institution, you don't need a high— or even average—credit score to qualify for a loan when you go through Money Mutual. Money Mutual does not check your credit score before connecting you to lenders who want to work with you. Additionally, most lenders will not conduct a full credit check to determine how much you'll be able to borrow either. This not only speeds up the approval process, it provides a way for those with damaged credit to qualify for a loan based on other determining factors so they get the money they need. When you apply for a loan at a bank, you have to make an appointment and take time off from work to explain your situation, submit all sorts of paperwork, and wait weeks to hear back about an approval. Money Mutual's totally online approach to finding a short term loan cuts this process down so you have cash in your account in as little as 24 hours. This can be a real lifesaver if you're stressing about paying a large, looming bill. What are Money Mutual's Weaknesses? Money Mutual isn't a direct lending company so if you're looking for one interest rate and loan term across the board, you're in for a disappointment. Money Mutual connects users to a sea of lenders that each have their own protocols when it comes to their lending terms. You won't be able to view these different service terms—or the specific lending companies in the Money Mutual lending network—until you submit an application for a loan. Money Mutual acts like a middleman for borrowers and lending institutions to meet and do business together. But since interest rates, service fees, and loan terms all differ from lender to lender, and even from state to state, Money Mutual doesn't list all this information on their website. This makes it hard to nail down actual figures during your research. After a lender agrees to take on your loan, Money Mutual will send you to that company's website where you'll be shown the loan terms in black and white. You not only have to read your contract (yes, actually read it from start to finish! ), you have to understand what you're signing up for. It's up to you to figure out if you're getting a fair interest rate. And only you can decide if the fees associated with that loan are too high or justifiably worth it. Do not sign anything you don't understand—you're under no obligation to go through with the loan at this point. Once you sign off on that loan, however, you're agreeing to all the lending company's financial fine print. Once you agree to go with a certain lender in the Money Mutual marketplace, Money Mutual steps out of the picture. They're not involved with any part of your actual loan. That means if anything should go wrong with your loan or between you and the lender, Money Mutual can't bail you out or offer any type of help or recourse. So research every potential lender in your network so you know precisely who you're doing business with. We've covered all the basics about how Money Mutual works, but you may still have questions or concerns we haven't discussed yet. Let's see if we can help you out with our FAQ section next. It's ok if you're still unsure about using Money Mutual to find a short term loan. Borrowers with high credit scores may want to look for other options before choosing a payday loan. Since you'll usually have no problem qualifying for loans from banks, credit unions, or other established lending institutions, you'll probably be able to take out the same loan amount at a much lower interest rate. Money Mutual's network of lenders does their best to provide customers with low or bad credit scores the money they need to get by when other lenders set their credit score requirements too high. Money Mutual and their lenders never check your credit score so you won't be rewarded with lower interest rates the better your credit is. You'll be paying just as much as someone with half your credit score. Can I make incremental payments when paying off my loan or do I have to make one full payment? Though the terms for each loan are entirely dependent on the lender, you generally need to pay off a payday loan in one full payment which is typically deducted from your next paycheck. The short term loan lenders in Money Mutual's network specialize in loans that only last between two and four weeks, but certain lenders may offer installment loans that will need to be repaid within 90 days to six months. When you receive your loan offer from your chosen lender, you'll be able to view the exact repayment terms. Paying off your loan in increments gives you more time to pay down the balance, but it also means you'll have to pay more in total interest fees. If you'd rather have the option to repay your loan over a longer period of time, you can find out more about Money Mutual Installment Loans. When you accept the loan terms offered by your chosen lender, you're responsible for paying that loan back according to their timeframe and their rules. If you fail to pay back your loan on time, only pay a partial payment, or miss a payment completely, you'll have to answer to your lending company. But beware: payday loans that aren't repaid in full when your next paycheck rolls around are an expensive headache to deal with. When your debt goes into collections, the debt agency could take you to court and seize your personal assets or start garnishing your wages. A judgement like this stays on your credit report and remains public for seven long years. Think you may miss your scheduled payment? Don't wait until it's too late to work with your lender. Many companies are willing to work with you when you face an unexpected financial hardship, but you lose their trust if you skip your payment instead of asking for help. Can I pay a Money Mutual loan off early? The quicker you pay down your loan, the less interest you'll have to pay on it. However, certain payday lending companies will schedule an automatic withdrawal when they know your next paycheck will be in your account. Most payday lenders will allow you to pay off your short term loan early, but check the fine print with your specific lending company to see if this is the case with yours. Remember, prepayment penalties don't exist in any state. Can I get an installment loan from Money Mutual? Money Mutual offers installment loans on their separate website, Money Mutual Installment Loans. You'll find the same speedy application and approval process and the chance to receive a full loan deposit as soon as the very next day. The only difference is you'll have over 60 days to pay your loan back. If you'd rather have more time to pay off your loan, just be warned that you'll be paying more in interest the longer you stall repayment while paying early may reduce the interest that accrues on your loan. The lending company will usually withdraw your loan amount plus interest from your checking account every month with an installment loan instead of a one-time withdrawal like using a payday loan. You can only have one open loan at a time. Before you're approved for a loan, Money Mutual will make sure you don't have an outstanding loan waiting to be paid off. In the chance you need additional funds before you're able to pay off your original loan amount, certain lenders may issue you another loan with a different (often higher) fee or interest rate. When the money for the second loan is deposited in your account, the lending company will deduct the balance from your previous loan to pay that off first. What is Money Mutual's rating by the BBB? Though Money Mutual is not an accredited business with the Better Business Bureau, they still receive the highest rating a company can earn by snagging an A+. The BBB believes Money Mutual builds trust, fosters a transparent and honest process, safeguards customer privacy, and takes the time to resolve customer complaints to their user's satisfaction. Does Money Mutual run my credit score? Or affect my credit score? Money Mutual does not check your credit score or run a credit check to view your creditworthiness. However, the specific lending company you get matched up with may obtain information about you from one of the three major credit bureaus before they finalize your loan, though it happens less frequently. Paying back an auto or personal loan, or meeting your credit card deadlines on time, usually helps your credit score because these responsible payments are reported to various credit reporting agencies. However, your payments to Money Mutual's lenders are not reported so you won't see your credit score improve even if you pay your loan off early. On the flip side, if you skip out on your loan or can't pay it off, it will negatively impact your credit score for sure. Your lender may not report your defaulted loan, but when they send your debt to collections, that agency can report your behavior to the credit bureaus. What are the most common complaints about Money Mutual? Various lender rates and terms, which makes it hard for users to compare their best offers from the Money Mutual marketplace. For more on this issue see section 13.1. High, predatory interest rates from lending companies in the Money Mutual network are almost impossible to pay back when you're living paycheck-to-paycheck. There are a number of current class-action lawsuits against Money Mutual for connecting users with international lending companies charging interest rates normally illegal in the U.S. That's why you always need to do the math to see if you'll be able to pay off your loan before getting buried under crazy interest fees. What credit score does Money Mutual require? Money Mutual does not check your credit score, making it a great option for those with bad or lower than average credit scores. Money Mutual doesn't care how you earn your income; as long as you make at least $800 a month and meet their other basic lender requirements, you could be eligible to receive a loan from one of their vendors even if you're self-employed. Simply provide the legal name of your corporate entity and your business phone number when you're prompted about your employer information during the application process. Is there an account maintenance fee or a transaction fee that is applied on my account? Money Mutual neither gives you the loan money nor withdraws payments or fees from your checking account. Money Mutual doesn't need access to your banking account because they're a free service. An account maintenance fee may be charged by your bank if the balance in your checking account dips below a certain threshold. Since lending companies typically withdraw payments directly from your bank account, it's important to always make sure you have enough to cover this money leaving your account. If you've been hit with a transaction fee, speak with your bank about where it originated from. If it wasn't charged by the bank, you'll need to contact your lending company and speak with them about it. I signed up but could not find a lender. How long should I wait? You're usually matched with a lending company within minutes of your application being submitted on the Money Mutual website. But sometimes emails from Money Mutal and your potential lenders wind up in your junk email and spam folders. Check that you don't have any emails there first. If you still need help, call Money Mutual's customer service at 1-800-567-0142, or email them at customerservice@moneymutual.com for more info. How much will it eventually cost me to borrow $2,500? States have laws to cap the maximum allowable interest lenders can charge to $10–$30 for every $100 you borrow. 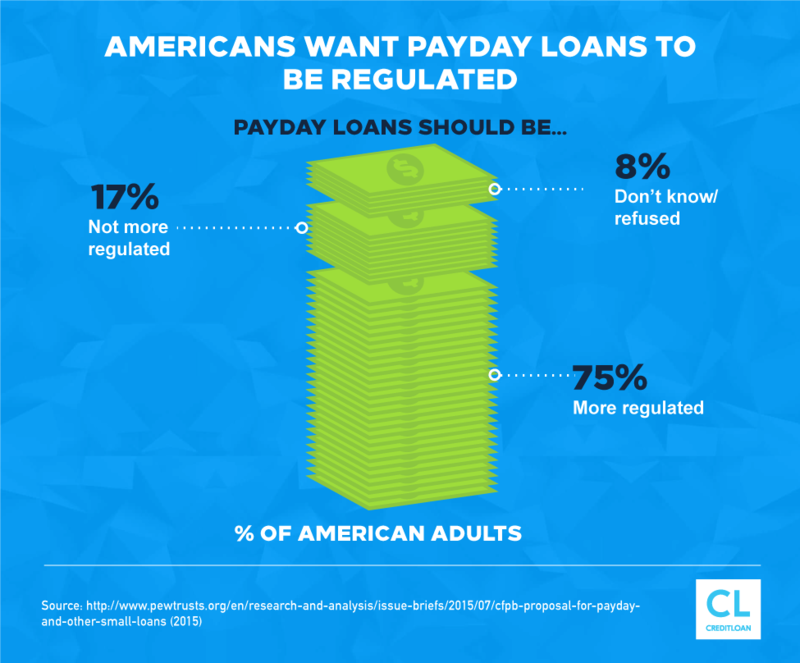 The average cost to take out a payday loan is $10–$15 per $100 of loan amount. At $10 per $100 borrowed, you'd accrue $250 in interest charges, bringing the total of your loan repayment to $2,750. At $15 per $100 borrowed, you'd accrue $375 in interest charges, bringing the total of your loan repayment to $2,875. At $20 per $100 borrowed, you'd accrue $500 in interest charges, bringing the total of your loan repayment to $3,000. Bear in mind that payday loans need to be paid back when you receive your next paycheck; that means you need to come up with the loan amount and all the interest. How do I choose which lender to select for my loan? Money Mutual will match you with lenders based on your application, but it may be difficult for you to figure out which offer is really the best for you. I have been rejected multiple times. What am I doing wrong? Money Mutual does not make lending decisions because they're not a lending company. They never guarantee that you'll be approved for a loan with one of their lenders. Lenders in their network will only approve your application based on the information you provide. Why is Money Mutual charging me extra fees when there are no hidden fees involved? Money Mutual never charges anything for their free service. Contact your specific lending company and your bank to determine where the charges are coming from and go from there. Can my payment date be extended? Extensions and renewal policies are different for every lender so you'll need to check with yours specifically to find out their rules. When you roll-over or renew a loan, you'll have to pay the interest you owe on your loan and then you'll be given a two-week extension to pay back the remaining balance. This extension does come at a price; you'll be charged a second interest fee, increasing the total interest you'll have to pay on the same loan amount you were given. Can I negotiate the terms of my loan with the lender? You agree to the terms of your loan with your lending company when you sign up for your loan. However, you may be able to contact your lender and work out a different payment plan depending on your financial circumstances and credit history. What background checks are performed on borrowers? 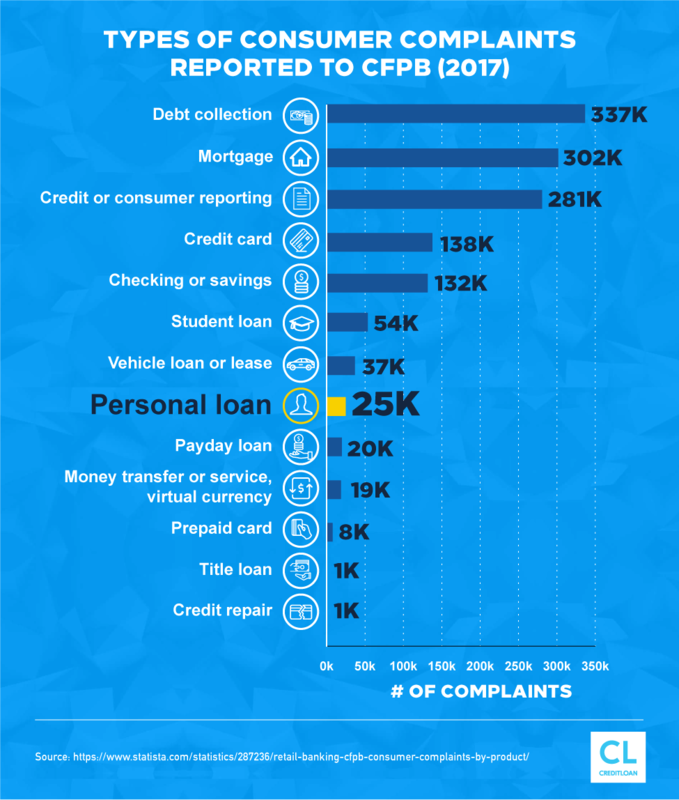 Even though most lenders won't perform a credit check to find out how worthy their borrowers may be, they still have access to specialized consumer reporting agencies to find out other determining factors. Lenders check the databases from these agencies to see if you have outstanding loans, wage garnishments, or a history of writing bad checks or declaring bankruptcy, for example. Should You Use Money Mutual? When you're in need of cash to pay for an unplanned emergency expense and your payday doesn't come for another week or two, the lending companies in the Money Mutual marketplace may be able to help you like they've helped over two million others. Just fill out one loan application on the Money Mutual website and you'll be connected to a network of lending companies with loan offers based on your approval. Money Mutual provides borrowers with an easy, quick, safe, and private way to get the money they need without standing in line at a payday store. Though the interest rates are extremely high, a short term loan may be a more affordable option than missing a payment, bouncing a check, or not having enough money to put gas in your car to get to work—as long as you borrow responsibly and pay back your loan on time.